Argyll’s biggest open-air live music event has launched a brand new marketing campaign to raise the profile of itself and Oban with the support of VisitScotland. 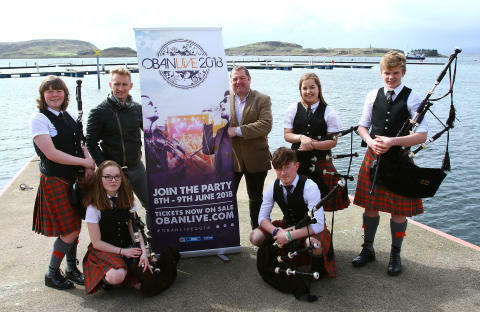 OBANLIVE, taking place on 8th and 9th June this year, has launched two new films targeting people out with Argyll, as well as maritime visitors, following an award of £11,250 from EventScotland, part of the national tourism organisation’s Events Directorate. 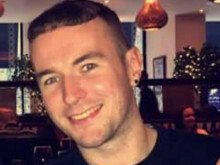 The videos have been distributed via social media, targeting high populated Scottish cities and UK sailing and marine tourism markets respectively. It is hoped the campaign will see the event enjoy a record attendance this year, and promote Oban as an accessible, attractive and marine tourism destination for visitors across Britain. The first film, entitled “The last train to Oban” is a beautiful short film about a grandfather who shares his affection for Oban and Oban Live with his granddaughter Emma. Images of the event and the town’s scenery and culture are shown whilst the grandfather recites his poem “Lovely Oban”. Viewers can also enjoy stunning shots of the train journey to Oban. The second video, “Sail to Oban Live” follows three very different yachts making their way to the event – sailing in and around Oban Marina, the new North Pier Pontoons and Dunstaffnage Marina. 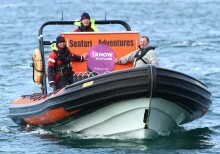 The video is supported by a webpage on obanlive.com with information on local facilities for marine visitors. OBANLIVE, now in its third year, features a mix of traditional Scottish artists and international superstars and entertains around 8,000 music lovers at the famous Mossfield Stadium. It was created following the success of Skerryvore’s tenth anniversary concert DECADE and is still run by two of the band members and brothers, Daniel and Martin Gillespie. This year’s line-up includes Skipinnish, Irish rock band Hermitage Green and festival favourites Skerryvore. The event experience is also enhanced with Fringe events in the town, VIP packages, well-stocked bars, amazing food vendors and unique merchandise. This is the concert’s third year of funding through EventScotland’s National Programme Fund and is one of 12 events from across ten local authorities in Scotland which have benefited from nearly £100,000 of funding in the programme’s 37th round. The National Programme Fund plays an integral role in developing domestic tourism across Scotland by helping grow the country’s diverse events portfolio. David Adams McGilp, VisitScotland Regional Director, said: “I am delighted to see that OBANLIVE was one of the 12 events across the country to be supported by EventScotland. These two short films showcase Oban’s wonderful tourism offering and I hope the concert will enjoy a record year as a result. Enabling existing events to expand what they offer visitors, extend their marketing reach and enhance the on-site experience of attendees are just some of the ways that National Funding Programme support is used to help regional events continue to flourish and grow further. This in turn strengthens Scotland’s overall events portfolio – a major contributor to our national economy. The Year of Young People 2018 will be the next of the Scottish Government’s series of themed years, following the Year of History, Heritage and Archaeology 2017.
oEquality and Discrimination – broadcasting the value of young Scots, challenging negative perceptions of young people, and supporting young people to take leading roles in challenging discrimination in all its forms. oCulture – celebrating young people’s talent and contribution to Scottish culture and arts. EventScotland is working to make Scotland the perfect stage for events. By developing an exciting portfolio of sporting and cultural events EventScotland is helping to raise Scotland’s international profile and boost the economy by attracting more visitors. For further information about EventScotland, its funding programmes and latest event news visit www.EventScotland.org. Follow EventScotland on Twitter @EventScotNews. EventScotland is a team within VisitScotland’s Events Directorate, the national tourism organisation which markets Scotland as a tourism destination across the world, gives support to the tourism industry and brings sustainable tourism growth to Scotland. For more information about VisitScotland see www.visitscotland.org or for consumer information on Scotland as a visitor destination see www.visitscotland.com. VisitScotland award funding grant to conservation charity.